In “Golf’s Red Zone Challenge,” Athlon has borrowed a term from football and applied it to that space on a golf course — 100 yards from the green and in — where you can make the biggest impact on your score. We believe we’ve created a program that golf has never seen, one that combines motivation to improve your short game with easy-to-follow steps for getting there. Here’s our guarantee: If you work on your short game — on your “Red Zone” skills — using the program outlined in “Golf’s Red Zone Challenge,” you’ll see your scores improve. 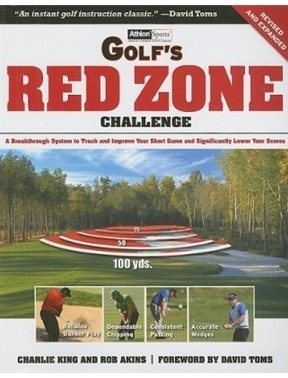 PGA Tour star and short game master David Toms calls “Golf’s Red Zone Challenge” an instant golf instruction classic.